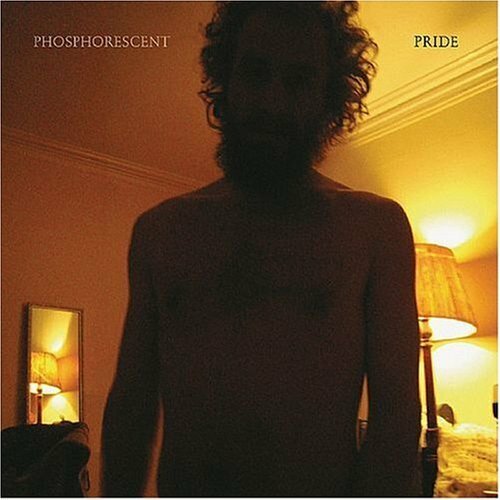 Released this week, Pride, the latest full-length from Phosphorescent, finds Matthew Houck and company improving on the recipe that first drew us in (two-plus years ago) with release of his second album Aw Come, Aw Wry. An Elephant 6 like mixture, filtered, through, say, Bonnie Prince” Billy, it became one of our favorite LPs of 2005. Now part of the newly minted Dead Oceans label, and having moved from Athens, GA to his new home of Brooklyn, NY, Phosphorescent tightens things up creating his best work to date. See tracks below. This Weekend: Friday night, Aquarium Drunkard and the Fold present Phosphorescent, here in L.A., at El Cid. Robert Francis opens. + Phosphorescent available at eMusic via their free trial mp3 offer. Peep it. I Love this album with a capital “L.” Any word on what Phosphorescent is like live? I’m heading to the show here in the Nashville/Murfreesboro area in about a week and a half, and I’m really wondering what to expect.